Another manufacturer will embellish the most competitive national championship series of the derivatives of the planet. The stunning MV Agusta will return to the MCE Insurance British Superbike grid in 2015 as well as the Motorpoint British Supersport Championships. The Hampshire Motorcycles team has confirmed ambitious plans to bring back the racy Italian manufacturer to the British series next season with a planned two rider line-up in both the Superbike and Supersport classes on the F4s and F3 675s models respectively. 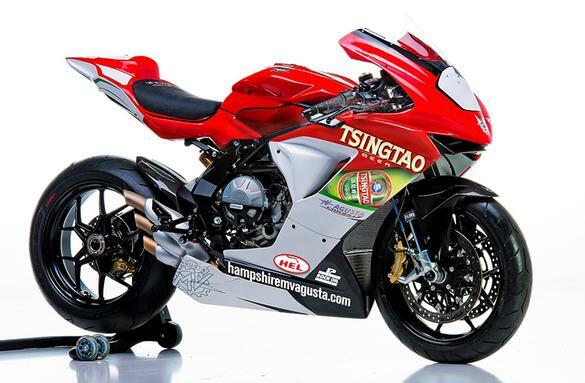 With the colors of the famous Chinese beer Tsingtao, there will be two F4s deployed in the British “main series” while two F3 675s will be at the starting line of the British Supersport. Founded in 2013, Tsingtao Racing this season took to the track the ZX-10R in both the BSB, under the banner of Tsingtao WK Kawasaki, and also in the Pirelli National Superstock 1000, where they are leading the Championship with the talented Danny Buchan. According to the plans of the English team, their former driver of MSS Colchester is about to climb the saddle of the F4 as well as could be reconfirmed the current rider Gary Mason in force to the team.